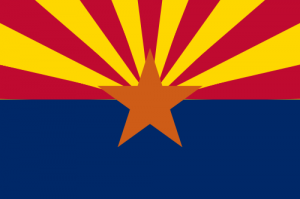 Pray for all the resources and creativity needed to fulfill the intentions of God in the state of Arizona. State Information: The “Grand Canyon State,” Arizona, was the 48th state to join the U.S. in 1912– the last of 48 contiguous (connected) states to join the Union. The state’s name comes from arizonac, from two Papago Indian words meaning “place of the young spring.” Arizona has a very dry climate and is known for its cactus plants. In fact, the state flower is the saguaro cactus blossom.